There is deep magic in practice. taken into your own hands. Welcome to The School of Sacred Practice. As a woman in the business of helping, healing, coaching and teaching, you want your life and your work to be the very essence of abundance: to feel expansive and infused with the fullness of you. You are passionate in your desire to make a lasting contribution to the world through your work and through the way you live your life. However, if you are here, it's quite possible that the ways you've habitually worked are depleting you instead of amplifying the sacred resources that you have available to you. The School of Sacred Practice is devoted, intentional space for you. It’s your time to tend your sacred resources in ways that create a strong foundation for aligned and sustainable growth. This is your invitation to deepen the practices that offer you, your business, and your life deep support by building rituals and habits that over time, lead to mastery. Each gateway adds to the rich foundation on which you build an abundant business and a beautiful life. Experience success that feels like success in the doing. Join The School of Sacred Practice for nine months of dynamic space with a powerful collective of women. In 2019, the four gateways of The School focus on deepening your capacity to receive, amplifying your sense of vitality and abundance. This is the wellspring of inspired, powerful, and aligned action. Sign up below to be the first to know when registration opens for 2020. There are telltale signs that this work, this sacred container, would really be delicious for you. You have pushed to the point of tired and overwhelmed and you are feeling depleted as a result. At the same time, there are bills to pay and no time to slow down (in your mind). I so get it. You need a reset — to commit to a way of being that honors natural rhythms of action and rest. It's time to tend the Sacred Resource of your own time, energy and desires. You find yourself struggling with your resources. Feeling like there isn't enough money, or there are messes to be addressed that you will do tomorrow (but that day never comes)? 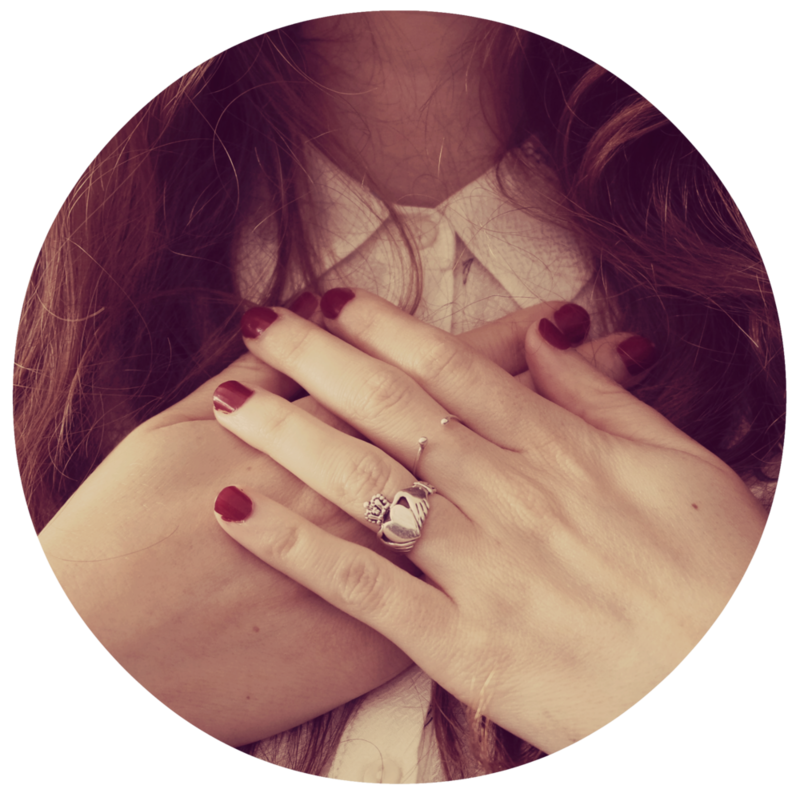 This is an invitation to heal and come into a deeper, more nourishing relationship with your core, sacred resources. You doubt yourself on a regular basis and end up in a state of inaction because you doubt your own power, authority and worth. This is your invitation to cultivate greater self-worth through a deeper relationship with the real magic of receiving the goodness of you, and your life. This feeds you and nourishes you, moving you into inspired action. No matter what transformation you are seeking with your resources in the coming year, I invite you to dive deep into sacred practice. Are you ready to show up with conviction and consistency for what matters to you? Are you ready to experience the depth of your wisdom and your capacity to experience abundance through the art of sacred practice? results that matter to you. Why do I believe so deeply? I grew up as a kid who struggled to finish and see things through to the end. 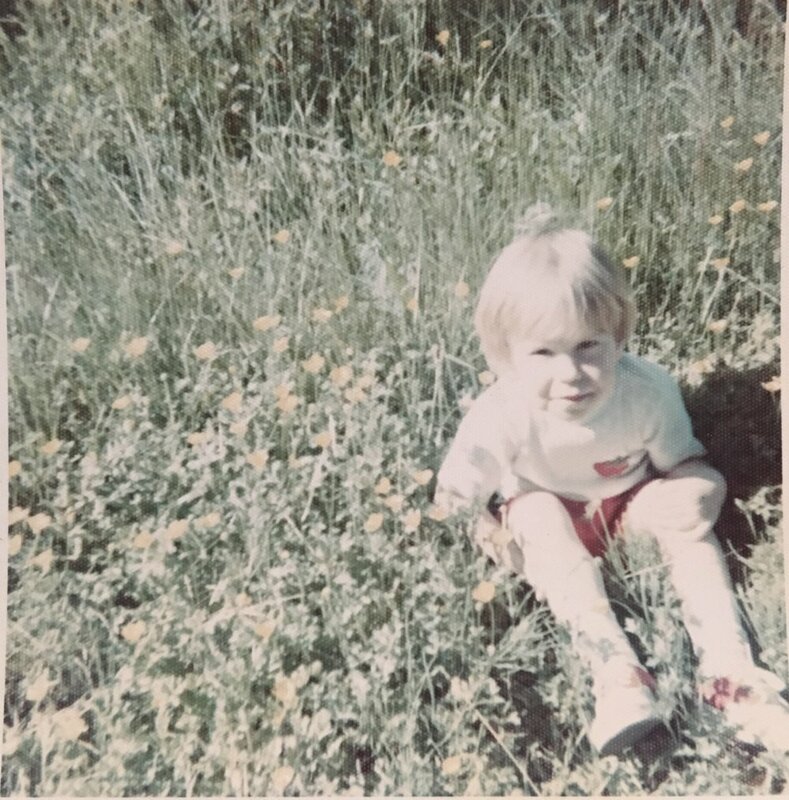 Things were already tough in my family around the time of this picture, when I was just four. I don't remember a time when I was young that I didn't struggle with self-esteem and belief in myself and my place in the world. Trauma and family alcoholism deeply impacted me -- my first sacred practices of yoga and meditation (began in college) became a misguided attempt to try and transcend my experience - another form of addiction and numbing out. In popular terms, I was absolutely looking to bypass my own pain and suffering with my practices. In my late 20's I had a powerful vision (one of the first inklings of Medicine Visions) that inspired me to stop drinking. My aspiration and my desire in that moment was to be fully alive, to not try and put space between myself and life. This intention, and that vision, has been working in my life ever since and as such, my practice has become developing intimacy with ALL of life - the joy, the sorrow, the challenge and the triumph. It is deeply satisfying and it is the "secret" to the ways I've changed and how much I get done. I keep showing up - for my inward facing practices which help me show up for my outward facing practices of engaging with the world in my own rhythm. The School of Sacred Practice is a nine-month school committed to creating lasting change through practical, and unconventional, approaches. Sacred Practice is transformational - it will support you in being the woman you are, and that you are becoming. Sacred Practice will teach you the power of the innate sacred resources that are yours to tend and work with. Sacred Practice helps you to stay present, listen for the next step and then take inspired action over and over, in service to your most inspired vision. In a world that rests on the false promise of instant transformation and instant results, Sacred Practice offers a reliable way to connect with your own deep wealth of resources and to keep showing up for the woman you are, and for the woman you are becoming. This is the magic of Sacred Practice. In each gateway, you will work with different practices, as your wisdom and needs dictate. As a group we will utilize the Sacred Practices of journey work, active imagination and the breath as unconventional and revolutionary Sacred Practices to access healing, clarity, wisdom and right-action. Four SoulMails: A Facebook LIVE delivery of key ideas that will invite you to tap your own deep wisdom as well as prompts and invitations for you to explore the changes you would like to experience through Sacred Practice. Four Centering In Calls: Each Monday of the deep-dives, we will gather virtually via video conference to hone in on intentions, questions, and practices for the coming week as well as acknowledge and celebrate what is shifting and changing. This alone will change you and support you in getting the right things done in accordance with your vision. Four Receiving the Sacred Calls: Each Friday of the deep-dives, we will gather via video conference to journey to liminal realms via breath, drumming, or imagination with specific questions and requests that have bubbled up as a result of our practice. These journeys may focus on healing, clarity, or connecting to deep wisdom archetypes that will bring you connection to your own wisdom and the magical support of your guides and allies. Pop-Up Facebook Check-ins: The very best way to integrate the changes you are making is to articulate what you are noticing. I'm readily available on Facebook, and, I will also offer pop-up check-in threads and Live time in the group. This will affirm the vitality of the work you are doing and everyone benefits when these are hosted in our secret online gathering space -- let yourself, and others, hear your wisdom, your questions and your insights. An Opening, and a Closing, Ceremony via video conference to bring our energies together and to create the space for strong and powerful work within the circle. This will create the container for our time together with intention and close our circle with celebration and awareness of all that has shifted and changed through our time together. Group Energy Medicine. At the outset of each deep-dive, I will do a group Medicine Vision, or another type of energy medicine to create a strong energetic container and to support our collective, and your individual, desire for change and transformation. If you are unfamiliar with the energy work and visioning that I offer, please do read more. In essence, a Medicine Vision is part intuitive vision and part energy work. The intuitive vision is a love letter to the group from the Divine on the adventure that awaits you, while the energy work anchors our intentions into the group energy body as we move through sacred practice. Integration and Connection Calls. In between our deep-dives, we will have monthly calls to check in and connect. To integrate what is shifting and changing and of course to feel the sweetness of circling with your sisters. An incredible community of sisters. You will have an opportunity to build authentic and deep connections with the women who join you in The School of Sacred Practice. This is honestly one of the most beautiful parts of this work for me — seeing you all become soul sisters who deeply support and love each other. And, just for love. I create an altar for the women of the group and I hold you in my own Sacred Practice each and every morning. I will also invite you to create your own altar of Sacred Practice to work with, to support you in the ways you wish to change in the coming year. Each year in The School of Sacred Practice, we pass through four gateways of sacred practice with the intention of nourishing the very ground we walk on (and create from) through tending our sacred resources. In doing so, you can expect to foster healing, clarity and wise action with your most sacred resources -- the resources that you have at your disposal to tend, to create with and to amplify abundance for yourself and others. In 2019, we will deep-dive into an overarching theme of receiving: Remembering the Essence of Wealth, The Power of Joy and Pleasure, Belonging to the World, and finally, A Celebration of Your Mastery. Each theme supports you in creating a rich foundation on which to build a thriving business and a beautiful life that is aligned with the very Essence of your most sacred resources. 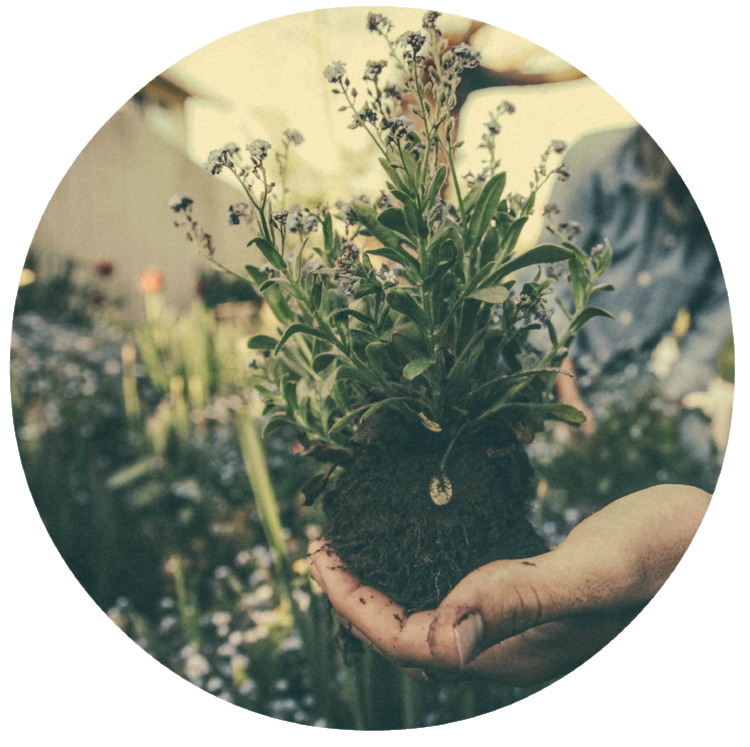 This 90-minute workshop is a portal - a ritual to celebrate the coming of spring and to renew your intentions and commitments to yourself for the year. This gathering creates a strong container for our work together and of course, I want to welcome you to the opening of The School of Sacred Practice for 2019. We will gather for blessing, introductions and end by asking for guidance and direction in visioning journey work that will set the stage for your year of Sacred Practice. Restoring the Essence of Wealth is sacred practice devoted to grounding into the body. This season, we will focus on creating and building nourishing habits of embodiment. Why? Because your success, your vision, grows in the fertile (or depleted) soil of your energy, of your being. It is revolutionary to be well-rested, hydrated, nourished and attuned with the very earth of your body. With courage and compassion, this deep dive is an opportunity to cultivate a stronger relationship of care and ease with your body and to fine-tune the sacred practices that help you connect with yourSelf deeply and with devotion. This is, without a doubt, the foundation of Sacred Practice and the path of stewarding our sacred resources in powerful ways. In addition to rooting into deeply nourishing practices, we will ask for deep support from your unseen guides and allies for healing and clarity. At the end of this deep dive, you will be ready to move into the future with deep reserves, a rich vision and clear energy. The Power of Joy and Pleasure is a sacred invitation to increase your capacity for joy. During this deep dive, you will be encouraged to follow the divine promptings of your desire as a pathway not only to joy, but to true abundance. I am so excited for you to experience this for yourself. As adults, we tend to eschew pleasure, joy and play as unimportant, as irrelevant and useless. This is simply not true. Play, joy, pleasure -- these are all sacred pathways to clarity, to inspiration and ultimately to experiencing greater abundance. Yes, play can be a superpower! We are all well-versed in the virtues of being able to do shadow work -- and, expanding our capacity for joy is just as divine, just as necessary to our own healing, and the healing of the world at large. To know, and deeply treasure, your own joy is the very heartbeat of magnetizing the life and the abundance that you truly desire. You will complete this month of sacred practice feeling more alive, knowing the power of joy to amplify your abundance. Belonging to the World is a gateway to explore the sacred practice of trusting that you, and your gifts, are exactly what the world needs. In this sacred practice, you will dive deep into your own Truth and the ways that you hide from yourself and thus, the world. As you reveal yourself to you, you will have opportunities to heal, to grow and to arrive into your relationships and your community and your work in more authentic ways. With curiosity and fierce compassion for ourselves, we will explore the fracture lines that keep us away from deep connection and invite deep healing and release of old stories that no longer support us in our fullness. You will complete this month with a deeper knowing that you, and your gifts and talents, are needed and belong fully to the world. A Celebration of Mastery is your invitation to reflect on all that you are and to claim the mastery that is at the very core of your Being. In this season of sacred practice, you are invited to know yourself through honest reflection and to claim your wisdom, your sovereignty and your deep mastery. Our final gateway of 2019 is an invitation to release what is ready to go and to call in the next vision of who you are becoming. You will complete this deep dive feeling sovereign, celebratory, and deeply rooted in the beauty of your own mastery. Our work together pulses, in waves, but in the stillness between each deep-dive, you are invited to circle with your sisters to connect and to integrate the work that you have done and that you are doing with your Sacred Resources. These calls are joyful and sweet, fostering deep connections within you and with your sisters. This 90-minute workshop is a celebratory honoring of our time together in The School of Sacred Practice. We will gather for blessing, introspective, reflection on what has changed for each of you and finally, a closing of the circle. 2, 90-minute workshops to begin and end our work together, to create (and close) the sacred space that holds each of you as part of The School of Sacred Practice. 16 Centering In Calls, four during each deep-dive to build the habit of articulating and grounding your energy and actions in what is working and where you are going. 16 Receiving the Sacred Calls, four during each deep-dive to explore unconventional practices that heal, clarify and change you from the inside out. 16 SoulMail -- Facebook LIVE transmissions of sacred inquiry, storytelling and invitations to be present to your own wisdom and plenty of opportunities to ask questions, integrate and celebrate the shifts that you experience with your sacred resources. Group energy medicine to support the strength and vitality of our container, yes, but also to support the ease and grace of the transformation that you are actively calling in via your Sacred Practice. Pop-up LIVE videos and check-in threads. These Live video feeds will include oracle readings, Q&A, and checking in to see what is alive in you. These are fun, productive times of gathering with our sacred circle. 2, 30-minute optional individual coaching sessions. It isn't unusual to need additional support during an intensive program like The School. I've got you, sister. An optional bonus, you receive my time and attention when you need it, just because you are part of The School. Ongoing support via a secret, and sacred, online space. This is available throughout the year for you so you can touch in and connect and be supported by me, and by your circle of sisters. I am very active and highly available. I am with you and I want you to call on that support. + Why is the focus on Sacred Resources? I'm going to be frank -- our global relationship to resources is bleak. Offering women's circles that focus on tending our sacred resources at this juncture is MY sacred practice. It is a topic where I certainly have a lot of experience and knowledge, and yet, in the current climate of super storms, crazy fires, and climate change deniers as well as the overt bias toward the masculine and the fact that feminine qualities are still devalued in big and small ways, well for me, this is always a timely exploration and opportunity for healing and clear action. Many of the women I serve have an ambivalent or a fractious relationship their sacred resources and often, it is linked to trauma. Tending ourSelves can be challenging in the best of circumstances, but when there is old traumatic wounding, growing a business of meaning becomes an opportunity for healing. I offer this school in the spirit of naming and bringing light to the Truth so we can collectively heal and be empowered to shine bright in the world. Misogyny is rampant, toxic and traumatizing and, yet there is great opportunity to devote ourselves to the sacred practice of freeing ourselves from the forced ideas that we aren't good with money, or business, that we can't rest, that our intuition, female bodies and emotions make us less valuable, that everyone else comes before us, that we are not worthy of what we desire... you get the point. None of these things are true and, I may not be able to change the over culture (yet), but I can invite as many women as I know to devote themselves to tending their resources, and our collective resources, as vital, valuable and worthy of fierce protection. Because that is true. Women have every right to be seen and treated as equals, not exploited and devalued and dismissed -- first and foremost, by themselves. With sacred practice we change the paradigm from within-- our natural resources and feminine qualities become partners with the masculine to create a world where all resources are nourished and amplified instead of destroyed. It starts in the hearts, minds and sacred practice of women everywhere. + Will there be energy work to support the courses? Oh, I am SO glad you asked. Yes. For each gateway, I offer energy medicine for the group to create a strong energetetic container which supports our collective desire for change and transformation. The type of energy medicine I use will vary, depending on the gateway we are in and what kind of support the group needs. I utilize crystalline energy work, visioning, as well as plant and earth medicine on behalf of the group and of course, sacred practice is itself energy medicine that amplifies transformation. + What kind of results can I expect? This is not for you if you are looking for prescriptive "solutions" to the challenges you face. So, if you are wanting a detailed plan on how to tap into a 6-figure business, become a millionaire, game the system or in any other way want to fix, mend or soothe yourself through seeking external validation this is not for you. I deeply believe in guiding you to have, and to trust, your own experience and your own wisdom. This is not for you if aren't interested in accessing the wealth of wisdom available through connection to the divine, to your intuition and to elements of life that science simply cannot explain... yet. Sacred practice is, at it's very essence, a spiritual and personal exploration of how you move through the world and practicing in fresh new ways to access healing, clarity, freedom and personal authority. It might go without saying, however, this is a group experience. If you don't feel comfortable in groups, particularly online groups, this really won't work for you. Groups thrive on each person showing up and being present - you miss out on so much if you aren't there. Boy do I love insight, but it means next to nothing without action. This is not about sitting back and hiding and certainly it's not about simply trying to visualize change or ask for magic to happen... magically. Be prepared for the sacred practice of consistent, wise action, sister. So, all that being said, The School of Sacred Practice is ultimately a safe-harbor to face your most pressing challenges with grace and grit in a community that is supportive. In turn, this will help you trust yourself, trust life and live a life that is far more aligned with your values and embrace that life IS, in fact, a series of moments of sacred practice. Your results? You will experience transformation in your relationship to yourself and to your Sacred Resources. My experience is that growth spills out and over into our lives in surprising ways. What that can translate into is less anxiety, greater clarity, more aligned and consistent action, better communication and marketing leading to more clients and a growing income, paying off debt, saving more money... it will depend on your focus, but I will be holding the space for you to experience the transformation that you are seeking. + What time are the live events? All live calls will be held at 10am pacific/1pm eastern. I will send you the dates when you sign up. Want to know what that time is in your timezone? You can find that here. All calls will be recorded and made available to you on a special class page that is password protected, so, if you miss a call you will have a recording to listen to. When you choose The School of Sacred Practice, you are saying yes to a life-changing journey and I am with you every step of the way. I hold my investment in you and the group of women who will gather with you for every course, sacred. There are no refunds and the investment is non-transferrable. Let me tell you more about this policy. The nature of an investment is to create abundance - to plant seeds, trusting that the seed will germinate, sprout, grow and blossom - and spread the bounty farther than you can possibly imagine. I fully expect that will be the case for you. I want as many women as possible to know their power and strength through The School of Sacred Practice. That is the nature of investing our energy - and the money you invest helps you put your resources of time and energy into being present for the sacred practice. As such, when you choose to invest in yourself, make sure you are all in. I would love to walk with you every step of the way. If you have other questions that I can answer for you to determine if the courses in The School of Sacred Practice are for you, please reach out. I want you to make the right decision for you. Are you ready to say yes to The School of Sacred Practice?